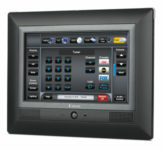 Extron MTP transmitters and receivers are part of the family of economical, compact products designed with a one-eighth rack width for easy integration into new and existing AV environments. 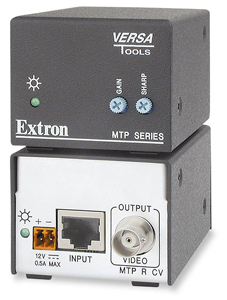 MTPs can be used with any CAT 5, 5e, or 6 twisted pair cable or with Extron Enhanced Skew-Free™ AV UTP cable for cable runs of 1,000 feet (300 meters) or more. MTPs are compact, so they can fit just about anywhere: in racks, under tables and desktops, or next to a projector.